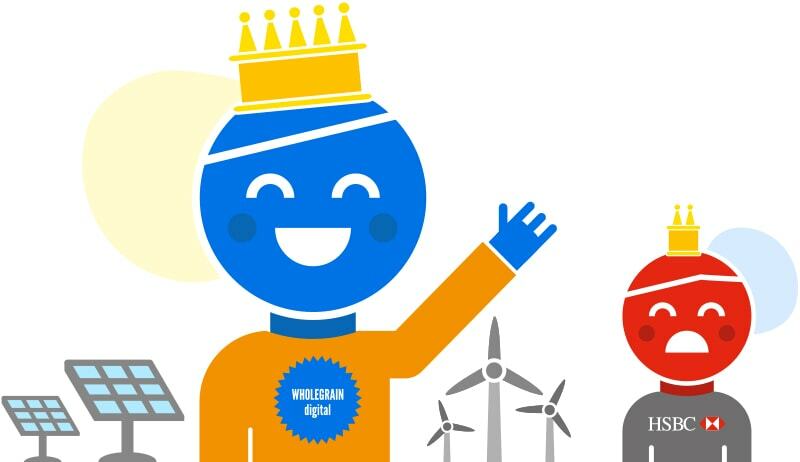 As an ethical web design agency, Wholegrain Digital adopts a multi-stakeholder model in addition to delivering high quality websites for our clients. Through this approach, we consider the needs of a network of stakeholder groups as core to our mission, and seek to understand the impact of our work on society and the environment. As a certified B Corporation, Wholegrain Digital subscribes to a rigorous assessment of its approach to sustainability and social responsibility, through a holistic questionnaire called the B Impact Assessment (BIA). One requirement of the BIA is to report on greenhouse gas emissions, and so Wholegrain Digital approached me to carry out a detailed analysis of their emissions and to calculate their carbon footprint. As a B Leader, I have been trained to support existing and aspiring B Corporations to evaluate their impact through the BIA. I have also worked with many other organisations to design programmes aimed at solving complex social and environmental issues. This post first considers the conditions and context for small businesses to assess their environmental impact, and then provides a recount of the approach I took to build a fit-for-purpose carbon tracking tool to reflect the philosophy and needs of the Wholegrain Digital team. We’re a small business without a dedicated sustainability team – how do we track our carbon emissions? Unless you want to trawl through the UK Government’s 130-page Environmental Reporting Guidelines, there are only a handful of reliable sources which provide clear steps on tackling this task, such as the Carbon Trust’s Carbon Footprinting Guide. And it’s even trickier to actually begin the monitoring process. While there are myriad carbon calculators out there, such as the National Energy Foundation’s free carbon calculator, they are either limited in their scope or present poor value for money (Carbon Footprint Ltd’s customisable tool costs £1,194 per year). We were interested to try Compare Your Footprint from fellow B Corp Green Element, but unfortunately the tool was not available at the time when we needed to do our assessment. So, we decided to build our own business carbon footprint calculator. It can be a challenge for team members without a sustainability background to understand carbon emissions in the context of their everyday work, which presents a barrier to embedding a sustainability-focused culture. For example, in 2017-2018 Wholegrain Digital generated 319 kg of CO2 emissions from business trips – what does that mean? Well, that’s 16 trips via car or train, travelling a distance of 7,108 km. OK, that’s starting to make sense now! Any team which wants to reduce its carbon footprint needs to understand the context so that emissions can be translated into achievable reduction targets. Standardised carbon emissions reporting requirements stipulate that emissions should be classified under three scopes. Scopes 1 and 2 include all energy sources owned by the company, or energy purchased from a provider. Scope 3, however, includes all indirect energy consumption. Everything from flights to Europe for a conference (which Wholegrain never do), to boiling your kettle when you’re working from home can fall into this category, so there is an almost unlimited number of emissions sources. In 2017-2018, 67% of Wholegrain Digital’s emissions were in scope 3. With these issues in mind, Tom and I decided that there should be two overarching principles for this piece of work. First, we should aim to measure as much as possible and second, our business carbon footprint calculator should be easy to use so that, in theory, any team member can enter their emissions data and understand their contribution to the business’ overall emissions. Based on previous years’ work carried out by Tom, and following an appraisal of the B Corporation Impact Assessment tool mentioned earlier in this post, I created a simple template to share with the Wholegrain Digital team to request information about their home energy use, travel habits and equipment use. This informed the structure of the model based on areas of the highest emission concentrations. I then began to build the model – or business carbon footprint calculator – in Google Sheets. I based the emissions categories on those provided by the team, and I mainly referred to DEFRA’s guidance on emissions factors to inform our assumptions. Emissions factors relate to the amount of CO2 emissions (or the greenhouse gas equivalent to CO2, which is represented by an ‘e’ in the figures below) generated by a relevant unit of measure. 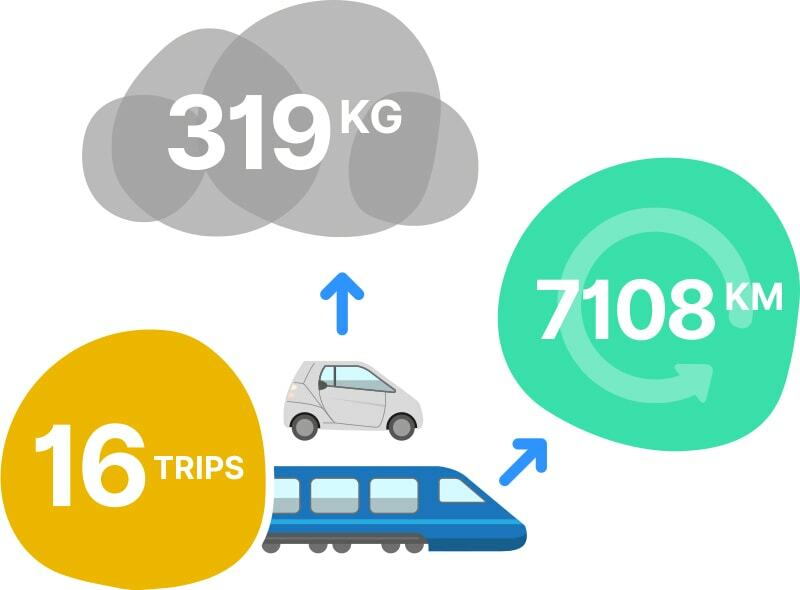 For example, each passenger travelling 1km on a regular train generates the equivalent of 0.04 kg of carbon emissions. This largely reflects the energy efficiency of the train, and the power source it runs on. If National Rail trains were to become more energy efficient and draw on power generated from a higher proportion of renewables, then the emissions per passenger km would decrease. For ease of comparison, we have used metric units for distances and weights throughout this post. Finally, I transferred all the data from the staff templates into the business carbon footprint calculator, and linked the various emissions activities with the assumptions. Again, this enabled me to identify the main emission hot spots, from which I then developed dashboards and graphs. Key findings are included below. Although there were many smaller steps within each of these three stages, and the collection of data and choice of assumptions was time consuming, these broad steps could be replicated in a similar small business without the support of an external sustainability expert. If this seems daunting, a sensible starting point is to consider all the potential sources of energy consumption across your business, and the likely sources of usage data related to these. Then, once you begin to collect the data – whether it be from your staff or your landlord’s facilities manager – you will quickly develop a snapshot of the main contributors to your business’ energy consumption. What did the data say about Wholegrain Digital’s carbon emissions? In 2017-2018 (the most recent full reporting year), Wholegrain Digital’s total emissions were 10,561 kg CO2 equivalent. 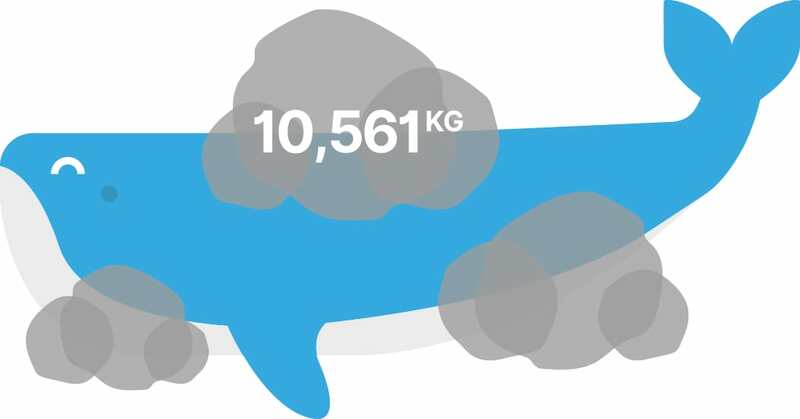 This equates to 685 kg CO2e per staff member. So for every staff member that’s about the equivalent of driving a petrol car from Lands End to John O’Groats (and back) twice! Or, it’s about the same amount of emissions taken to produce 18 kg of lamb. While we shouldn’t read too much into comparisons with other companies, the largest non-extractives British company, HSBC, generates 2.49 tonnes CO2 equivalent per employee per year – about 4 times an employee at Wholegrain Digital. HSBC also sources 27% of its electricity from renewables, compared with 84% at Wholegrain Digital. Although these figures may seem abstract when discussed in isolation, they become more salient when used as the basis for an organisation’s future emissions reduction strategies. 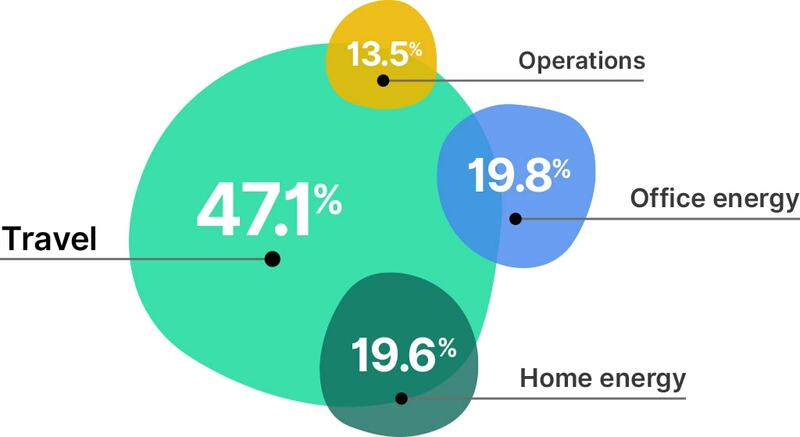 For example, in Wholegrain Digital’s case, simply reporting that the team travelled a total of 106,144 km in commuting journeys in 2017-2018 has little context. However, because we now know that all travel (i.e. business trips + commuting) contributes 47.1% of all emissions, and that commuting accounts for 94% of this, then we can begin to think about the leverage which small adjustments in commuting behaviour can have on total emissions. Prior to this assignment, Wholegrain Digital was already monitoring its carbon emissions which laid a strong foundation to build on. This meant that the team was already familiar with sharing certain energy consumption data, and the purpose of this activity aligns to the company’s values. For other small businesses, however, it may be more of a challenge to embed this environmentally focused culture. As it becomes a legal requirement for publicly listed companies to report on their emissions from April 2019, it is only a matter of time before all businesses will be expected to follow suit – in the same way that all companies must file their annual accounts. My experience with Wholegrain has highlighted the need for the B Corporation movement, government bodies and energy regulators to support small businesses in easily and confidently tracking their emissions. Above all though, it’s simply the right thing to do. Business is the major culprit in the ongoing destruction of the biosphere, and so companies should also be obliged to play a lead role in piecing it back together – and all of this starts with understanding your impact. If you’re interested in learning more about how Wholegrain approaches sustainability, the Wholegrain team are always keen to share experiences and learn from others so please do get in touch. 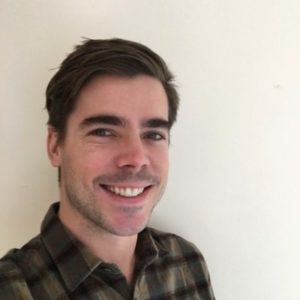 Jack O’Donoghue is a freelance B Corporation researcher and sustainability consultant. Feel free to contact him (odonoghue.jack@gmail.com) for additional information and guidance on calculating your organisation’s carbon footprint.